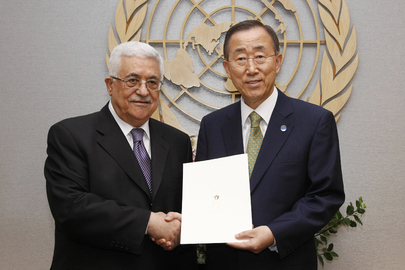 UN Denying Claim of Ban Trip to Palestine While AU, Flights Now Disclosed? UNITED NATIONS, January 21 -- Palestine's Permanent Observer to the UN Riyad Mansour on January 6 told Inner City Press that there would be a visit to Ramallah by UN Secretary General Ban Ki-moon in late January or early February in connection with Ban's trip to the African Union summit. Inner City Press: I am only saying it because since Riyad Mansour said it was in connection with the African Union one, does it mean it’s not taking place? Inner City Press: I have been told that in some cases Member States, in some cases in the past, have later presented a bill for just what you are saying that it is not for the budget; it is for convenience and is billed. Without casting any aspersions, assistance like free air travel could seem to create a conflict of interest. Not a financial one, not a personal one, but political one. For example, if a country provided travel to the Secretary-General on a long trip, some might say that this might make the Secretary-General less likely to criticize that country. So, I wanted to know, has the United Arab Emirates billed for this? In some cases does the UN reimburse the country for travel, or is it always, is it ad hoc? Inner City Press: Going forward, if it is true that it is almost all, it seems like if you were to disclose when this type of assistance is received you probably wouldn’t have to disclose much, but I guess I am making a request. Because of the possible conflict of interest of receiving assistance from particular Member States, are you going to disclose or does it have to be asked, in regard to each trip?